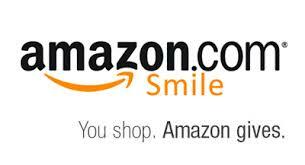 ​Every time you do your online shopping through Amazon Smile, they will donate a percentage of the proceeds to Grace Baptist Church on your behalf. Using Amazon Smile does not make shopping at Amazon more expensive for you. The products you purchase will cost exactly the same as always. If you would like to support us in this way, then just visit our website and click on the image below every time you need to make an Amazon purchase. Thank you!